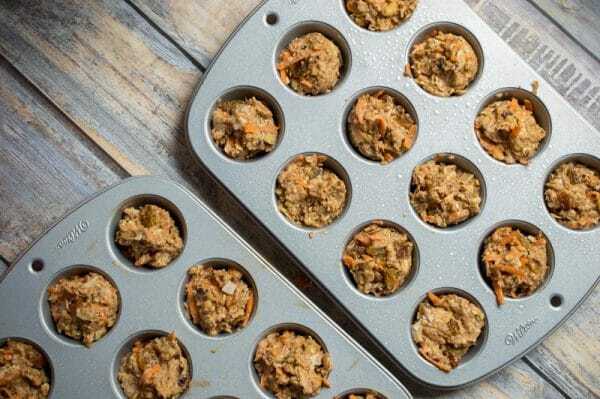 These Healthy Carrot Muffins are loaded with nutritious veggies and packed with flavor from fresh carrots, coconut, walnuts, and raisins. 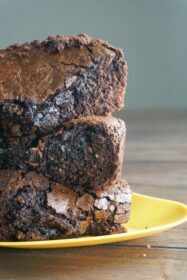 Plus, they’re completely vegan, gluten-free, and ready to eat in under 30 minutes. What’s not to love? I absolutely love muffins! 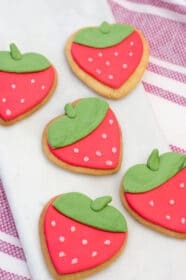 They’re at the top of my sweets list – right up there with cupcakes. And it’s completely acceptable to eat them for breakfast. What’s not to love? Blueberry-Banana muffins have always been one of my favorites. 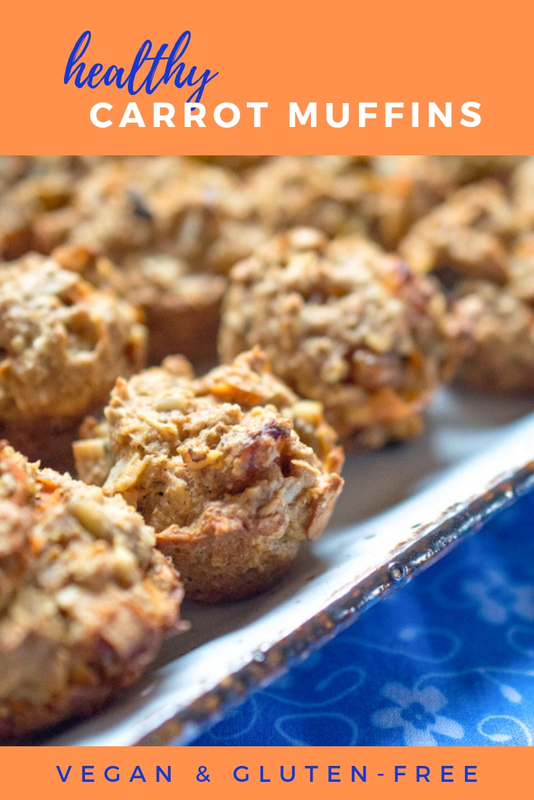 But lately I’ve been experimenting with veggie-packed muffins as well – like these healthy pumpkin muffins that I created last Fall. That’s one thing I really love about working with muffin and cupcake batter, the flavors are basically only limited by your imagination. 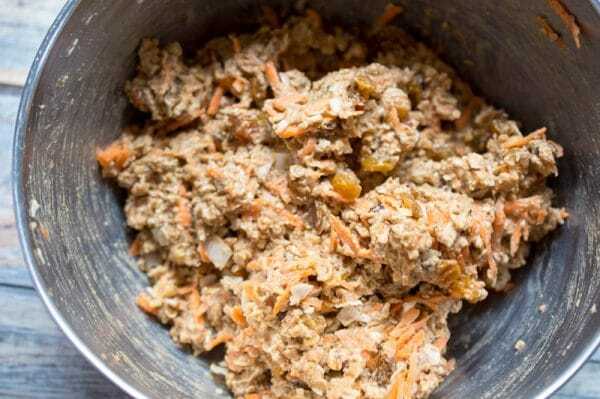 And so I wanted to create a healthy-ish muffin, featuring one of my own favorite veggies… carrots. 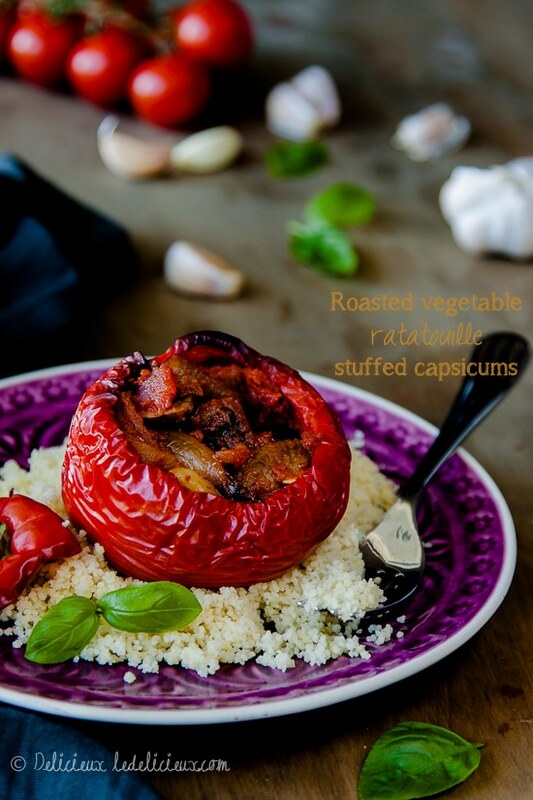 Loaded with nutritious veggies, so you can indulge guilt free! 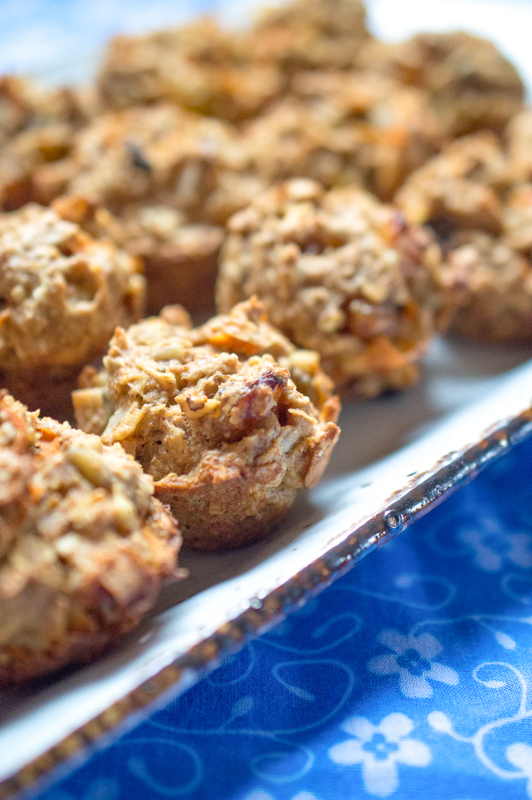 These vegan carrot muffins are loaded with flavor from coconut flakes, carrots, raisins, and walnuts. 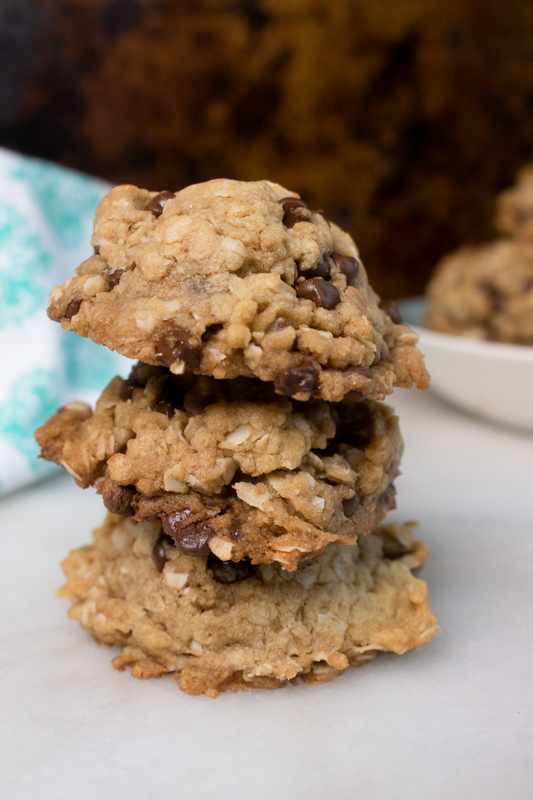 Gluten-free quick oats give them a whole lot of texture, yet they’re still light and fluffy. They make a great healthy vegan breakfast, or even a guilt-free dessert. Coconut Sugar. 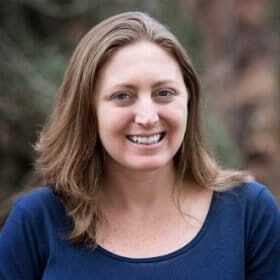 Readers often ask me – is coconut sugar better than regular sugar? Coconut sugar is also called coconut palm sugar. It comes from dehydrated coconut palm. It’s loaded with more vitamins and minerals than white table sugar. It’s a nutritional super-food that can help lower your blood sugar and keep your gut healthy. Read more about it here. So it’s a great healthy substitute for regular sugar, and I do use it when I think the flavor will be a nice complement to the recipe. Like these carrot muffins! Use a cookie scoop. 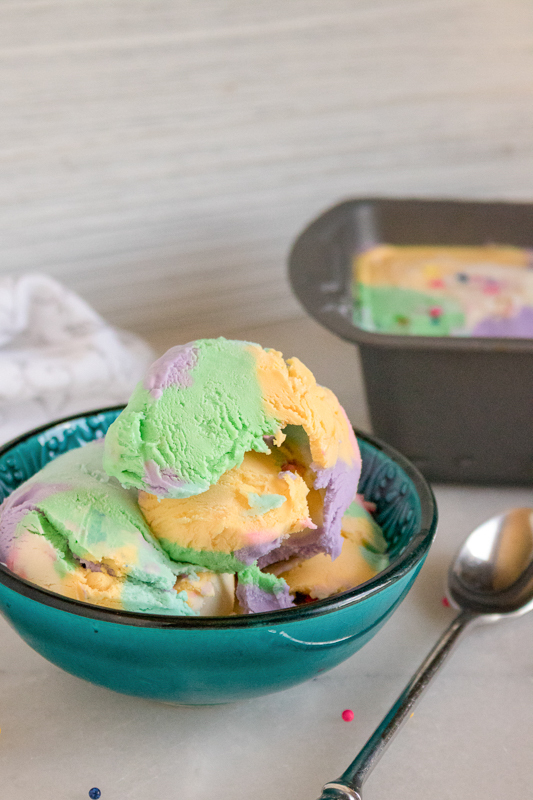 Using an ice cream scooper or a dedicated cookie scoop (called “dishers” by professional bakers) makes it so much easier to handle the muffin batter. And you get uniformly sized muffins, so they all cook at the same rate! Watch for gluten-free brands. To keep this recipe gluten-free, make sure you select a gluten-free baking flour and a gluten-free brand of quick oats. Some of them have unexpected gluten! 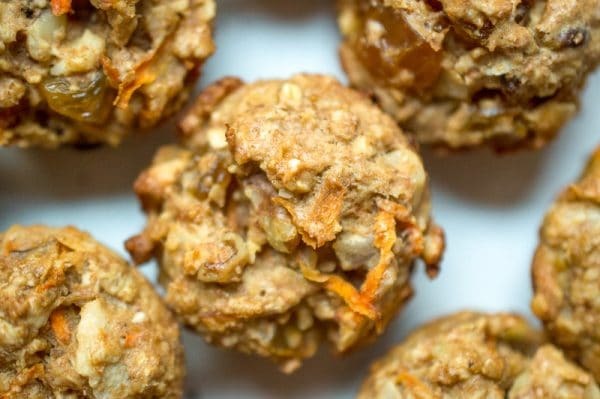 You won’t believe how easy it is to cook up this healthy vegan carrot muffins in less than 30 minutes! 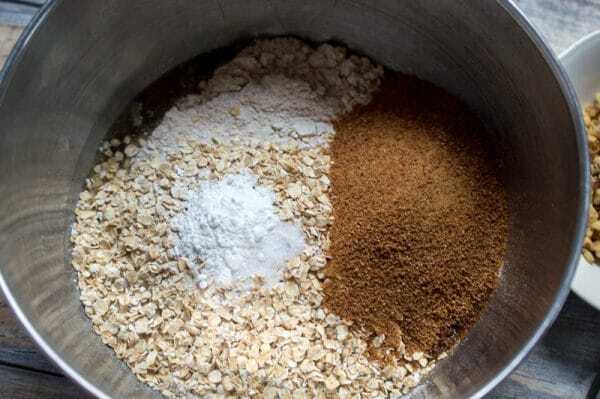 Combine gluten-free flour, quick oats, salt, and baking powder in a large bowl and make a well in the center. Mix in coconut oil, water and vanilla extract. Pour the wet ingredients into the well you made in the flour mixture and stir until combined. And finally add in the shredded carrots. 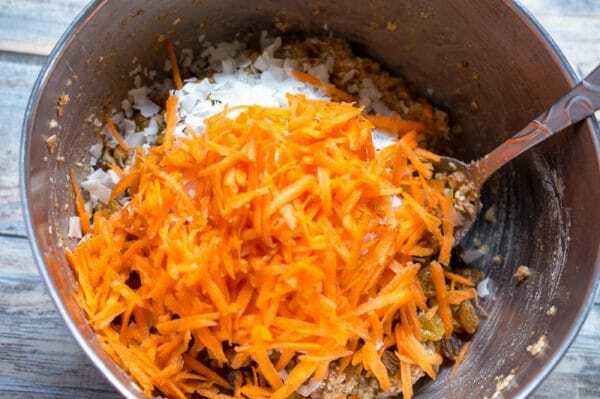 Fold the carrot muffin batter together until it’s well combined. Grease muffin tins with non-stick spray. 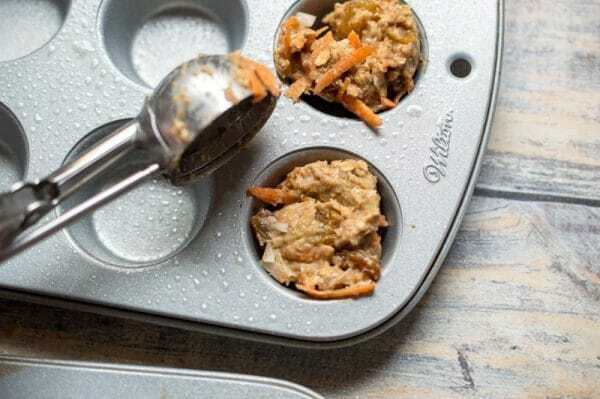 You could also use mini-muffin tins to make bite-sized carrot muffins. Scoop the batter into the muffin tins, filling them each three-quarters of the way full. 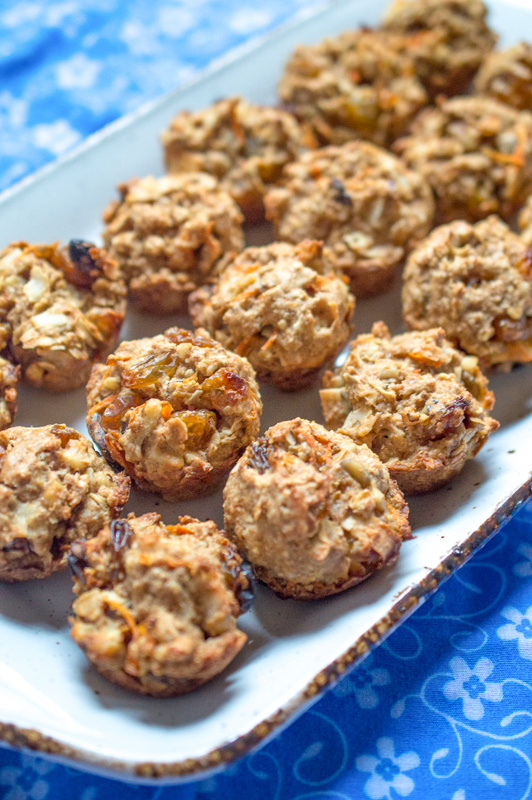 Bake the carrot muffins for 15-18 minutes until the muffins are golden and a toothpick inserted into the center comes out clean. Let the muffins cool completely before serving. If you want to make these muffins a bit fancier, you can drizzle them with a simple brown sugar glaze. Just whisk together brown sugar with a bit of soy or almond milk. You could even sprinkle them with extra coconut flakes for more flair! 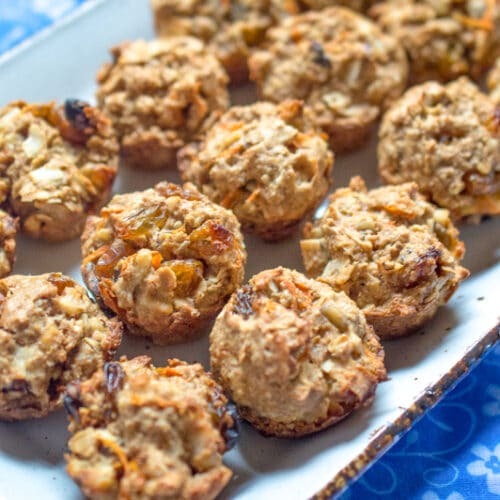 These Healthy Carrot Muffins are loaded with nutritious veggies and packed with flavor from fresh carrots, coconut, walnuts, and raisins. 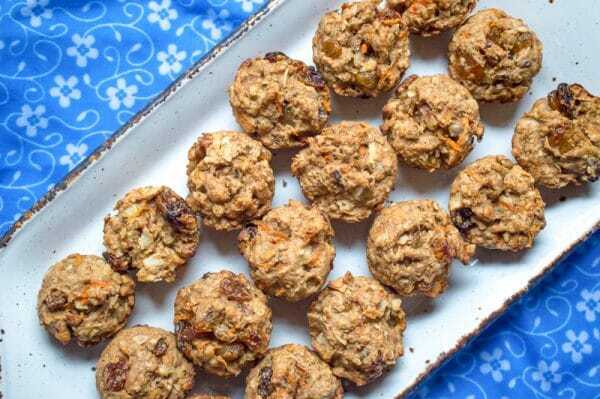 Plus, they're completely vegan, gluten-free, and ready to eat in under 30 minutes. What's not to love? Combine flax eggs, coconut oil, water and vanilla and stir. 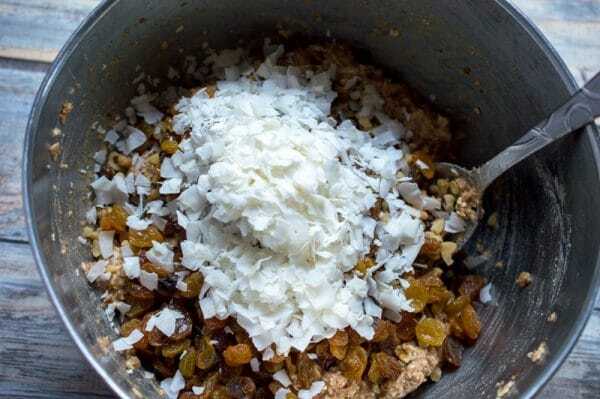 Add the flour, oats, salt, baking powder, raisins, coconut flakes, carrots and walnuts. Scoop muffin batter into the muffin tins, filling each 2/3 of the way full. 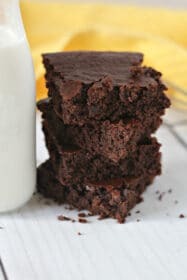 Bake for 15-18 minutes, until edges start to brown and mixture is no longer wet looking. Let cool for a few minutes then remove from pan. Please note that some brands of quick oats contain gluten, added during processing. Look for a brand labeled as gluten-free. 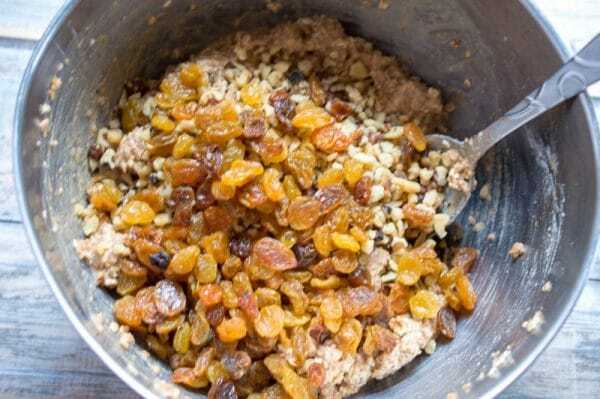 To make a flax egg, whisk together 3 tbsp water and 1 tbsp ground flax meal. This is a great substitute for traditional eggs in baking.